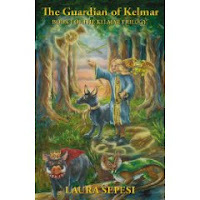 Laura Sepesi asked me to review her book, The Guardian of Kelmar and I said YES! 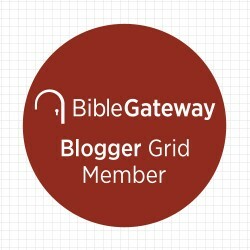 You see, I have been following her blog for some time now because she offers very valuable tips for new writers such as myself. I have found her advice so valuable, enhancing my writing skills that I just couldn't wait to receive her book. 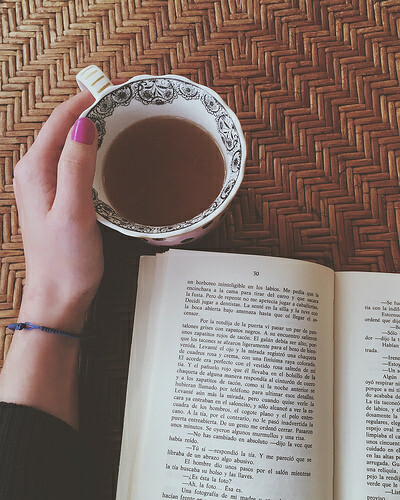 When that day arrived and I received her package in the mail, my first reaction, to be honest with you was, "How will I ever finish such a big book?!" I was so used to reading children's picture books to my Grandson's in five minutes! What I'm about to tell you is mind boggling and very much over the top. I discovered in reading the first three sentences of Laura's book that I was completely drawn in. She had professionally accomplished what I have been studying at CBI Clubhouse... and that is showing without telling in three sentences. Laura created action and an inciting incident! Even though this is her first publication, she truly writes as if she has been writing for over fifty years! I finished the first three chapters right away and kept glancing at her picture in the back of the book because I was so amazed at Laura's very professional writing skills for such a very young age! I even read out loud the book's opening lines to one of my piano clients who is an author of novels and movies. I saw her yesterday and told her how much the book had impacted my life! "So you finished the book?" she asked. "Yes, I closed the book and started sobbing out loud!" And so, this journey with The Guardian of Kelmar will begin fresh and anew for you when you purchase this great novel and find out for yourself! I sincerely hope you will pass on the recommendation as I have because I firmly believe we have an award winning author here. Laura's writings are timeless, magical, brilliantly descriptive and so very much alive. Good over evil is a winning ingredient for Laura's The Guardian of Kelmar. Carmen Fox's life is lonely and insignificant-- that is, until the day she stumbles upon an ancient book and a key engraved with five mysterious letters. Suddenly, Carmen is thrust into Kelmar-- an amazing new world of magic, where she finds herself at the center of a century's old war between good and evil. Carmen must undertake sorcerer training if she is to survive the challenges that await her. Can Carmen master her powers and defeat the villainous Magicon alliance? With the help of a fascinating creature named Blaze and unforgettable friends, Carmen begins an incredible journey to discover her destiny. Laura Sepesi's Book I of the YA fantasy trilogy is a brilliant novel! It is a well-written story that had me riveted from the beginning! The book begins with Carmen Fox, the main character who later learns she is chosen to be The Child of Destiny. In the magical world of Kelmar, you will find animals talking with people. You will learn about the special bond between a Master and a Partner and meet the Souls of Destiny. As with all good magical story plots, this novel is filled with exciting battles between the good Kelmarians and the evil magicons. You'll turn every page reading about the sword with red stones, feeling the Dragon's Claw near you and seeing crystals embedded in clay ceilings. Upon encountering The Dark Master, you will want to read til the very end to find out if Carmen defeats the dark sorcerer and if so, how does she do it? Laura wraps it up so well with this golden theme, "Fighting to protect what and who you love is true courage." I have a great respect for Laura and the power of her words that flow through her pen. I can't wait to read her next book. I highly recommend The Guardian of Kelmar to my friends. It is worth reading. It is truly worth buying. 5 stars! Laura Sepesi began writing at an early age, composing several stories by the time she entered middle school. Her love of storytelling continued into high school, during which time, she imagined the story of the Kelmar Trilogy. 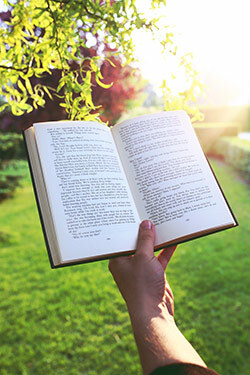 She began drafting The Guardian of Kelmar the summer she graduated, and continued writing as she worked toward a degree in elementary education. Laura completed The Guardian of Kelmar at age twenty-one, in pursuit of her dream to become an author. She is currently working on Book 2 of the Kelmar Trilogy.